For months now I’ve been using Pocket to capture articles and stories of interest, primarily from browsers, either on my phone, my tablet, or my PC. The user interface to capture articles could not be more simple. I often find I do not have the time to read an article immediately, so I save it to Pocket so I can leisurely read it later on. This also saves me time having to look up the article since I might not even remember where I saw it. The other benefit is that Pocket removes all the annoying advertisements and links that distract you while reading. I also like the fact that Pocket organizes all of your saved articles in one place allowing me to print an article or share with a friend later on. I’ve shared my love of Pocket with many other individuals - all who have thanked me very much for sharing such a timesaving and convenient tool for capturing information of interest. It’s nice, but could be so much better! I’ve used Pocket for years now and subscribe to Premium. Overall, the app does what it’s supposed to; making for an excellent way of storing nearly anything for later viewing. However, I don’t understand the logic of having to click multiple things to share or recommend articles, adding to one’s favorites, or adding to a custom folder. It’s tedious! Instapaper has a button one can click to add to one’s “Likes” (favorites) list, as well as sharing the item to a social network, all with a single tap! Pocket could really use such a customizable feature to speed up the process of not only reading but also sharing things with others. As well as sorting content as desired. Some of the buttons in the article list are not properly labeled for VoiceOver accessibility. The Search and other menu options are labeled with a random set of characters, and have not been fixed after I’ve made reports to support about that issue. Lastly, the app tends to crash when browsing the Recommended list of articles. It’s one of the best features offered by Pocket, but again, reports of crashes have gone unanswered. That’s why I give this the lower rating. If Instapaper didn’t have its own crashing issues, I’d simply use that. But I believe Pocket is superior, but has these minor annoyances which actually add up to using additional time to complete simple tasks (IMO). Again, it’s nice, but could be so much better! Thanks for sharing your review of our app, Doggrowl! There's a few things to unpack here, but we'd love to address the crashing issue in the Recommended Feed first. 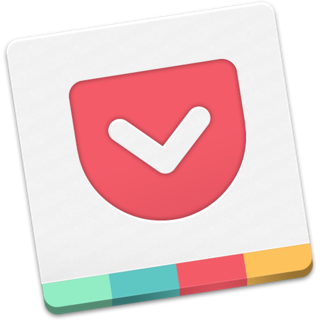 Please update to the latest version of Pocket (6.6.22) and let us know if you're still having any issues at support+review@getpocket.com. We've shared your review with our teammates to make sure they hear your perspective. Thanks again and please let us know if we can help with the crashing issue further!